M.J. Smith is informing the Berry Schools administration that a Mr. Harbison is out of the city and unable to to answer their message. It will be called to his attention when he returns to the office. 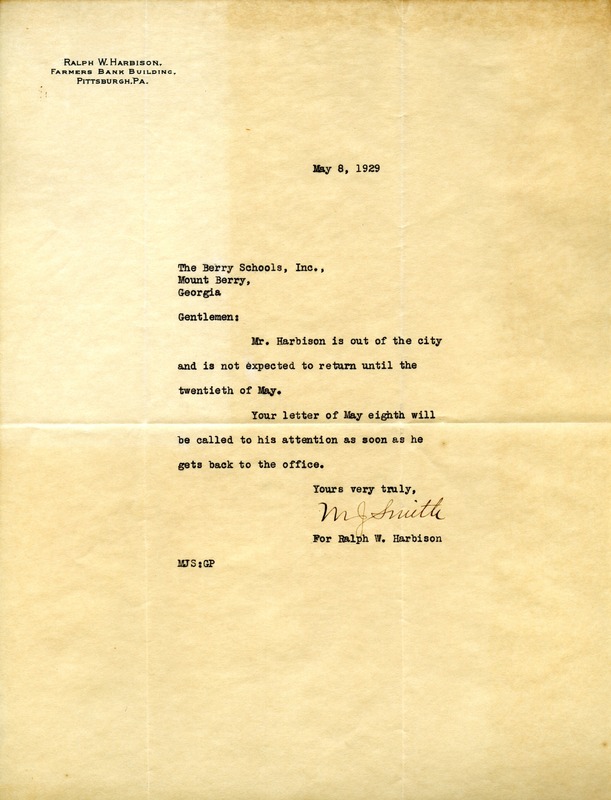 M. J. Smith, “Letter to the Berry Schools from M.J. Smith.” Martha Berry Digital Archive. Eds. Schlitz, Stephanie A., Meg Ratliff, Allison Moore, et al. Mount Berry: Berry College, 2012. accessed April 18, 2019, https://mbda.berry.edu/items/show/10215.